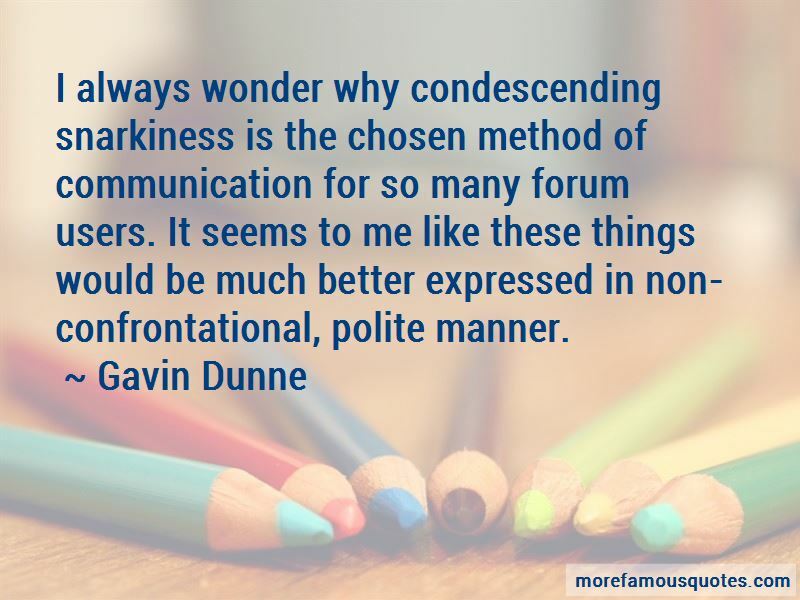 Enjoy the top 1 famous quotes, sayings and quotations by Gavin Dunne. I always wonder why condescending snarkiness is the chosen method of communication for so many forum users. It seems to me like these things would be much better expressed in non-confrontational, polite manner. Want to see more pictures of Gavin Dunne quotes? Click on image of Gavin Dunne quotes to view full size.